Arthritis is a disease causing painful inflammation and stiffness of the joints. It is the disorders of joints inflammation. There are various types of arthritis like osteoarthritis or degenerative arthritis, rheumatoid arthritis, rheumatic arthritis, gout or pseudo arthritis, psoriatic arthritis, stills disease, septic arthritis, reactive arthritis, arthritis from SLE origin etc. Osteoarthritis and Rheumatoid are the most common arthritis. In any form of arthritis the most common symptoms are restriction of movement with stiffness of joint. Regular taking of pain killers and steroids create some other side effects in human body. Restriction of movements and limited mobility of joints. Homeopathy treatment for Arthritics is the best way to get cure with no possibility of side effects. This is not a hypothesis as the findings of many clinical trials have shown that homeopathic remedies have generated confirming results in all forms of arthritis. Right homeopathy medicine for arthritis can remove the patient’s pain and stiffness of joints effectively. Arthritis Homeopathy treatment is a long lasting cure compared to other treatment and also gives relief within a short period of time. Homeopathic treatment requires completing the doses of medicine as prescribe by the physician. But most of the patient does not obey the physician and discontinue after some improvement. The proper homeopathy treatment for arthritis is able to deliver a good and long-lasting alleviation in terms of pain, stiffness, swelling like symptoms,in addition to slowing down the worsening of condition. As soon as the patient starts experiencing improvement in his/her conditions, the homeopathic medicines can be decreased or discontinued completely. Although it is not possible to reverse the irreversible pathological tissue changes by any remedy, the proper homeopathy treatment for arthritis is able to deliver a good and long-lasting alleviation in terms of pain, stiffness, swelling like symptoms, in addition to slowing down the worsening of condition. It is highly recommended to opt for proper homeopathic treatment for any kinds of arthritis to lead a healthy and hearty life. We’ve successfully treated thousands of patients suffering from various forms of arthritis in our treatment center and all of them are now leading their lives to the fullest with no annoying pain. Multicare is a well established online homeopathy treatment center in India offering online and direct treatment to arthritis, piles, allergy, asthma and all chronic disease to thousands of patients not only in India but throughout the globe. 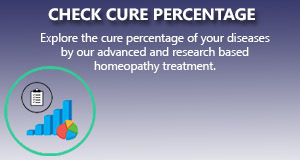 We assure for a long term curative approach of treatment through Homeopathy. Dr.Rangadhar Satapathy. is a well experienced globally recognized Senior homeopathic physician treating patients more than 65 countries and has an excellent track record of cure rate more than 98 % in different diseases.